Supportive Employment Services - Rising Star Resource Development Corp. Rising Star Resource Development Corporation (RSRDC) is a private non-profit incorporated 501(c)3, Community Rehabilitation Program (CRP). Along with staffing and facility maintenance services, Rising Star also provides a variety of supportive employment services to help individuals with disabilities prepare, obtain, and maintain stable employment. 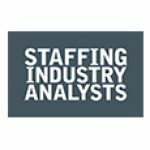 Rising Star utilizes a ‘person centered’ approach to deliver quality supportive employment services. This approach keeps the customer at the center of the decision-making regarding their lives. Rising Star also strives to understand what each individual customer wants and needs to live their own, personally defined good life. How can I receive employment services through Rising Star? 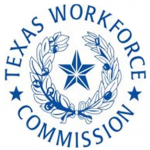 Rising Star receives our referrals directly from Texas Workforce Solutions – Vocational Rehabilitation Services (TWS-VRS) for supportive employment services. If you believe that your disability is hindering you from successfully obtaining employment, please apply for services through your local TWS-VRS office. If you need assistance locating the nearest TWS-VRS office please call 800-628-5115 or visit texasworkforce.org/offices/vr-generalservices.html. Once you are approved for services your assigned TWC-VRS Counselor will assist you with obtaining the services needed to obtain successful supportive employment. Your requested referral for Rising Star would be appreciated. How does the federal government define "disability"? For the purposes of federal disability nondiscrimination laws (such as the Americans with Disabilities Act (ADA), Section 503 of the Rehabilitation Act of 1973 and Section 188 of the Workforce Innovation and Opportunity Act), the definition of a person with a disability is typically defined as someone who (1) has a physical or mental impairment that substantially limits one or more “major life activities,” (2) has a record of such an impairment, or (3) is regarded as having such an impairment. As a provider of contract services to TIBH Industries and SourceAmerica, a disability must impart your competitive employment as a result of your diagnoses and functional limitation. 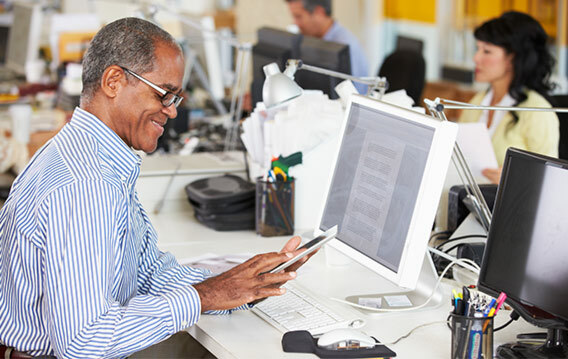 How can I find individuals with disabilities to work for my company? You can contact us directly below if you are interested in developing a working relationship with Rising Star. We can help you employ qualified candidates for your company. How would hiring individuals with disabilities benefit my company? Beyond the obvious social impact of corporate responsibility to achieve integrate employment, market research has proven people with disabilities sustain employment longer. You will gain a dependable, reliable employee(s) who are very motivated to learn and deliver value. As an employer there are also tax incentives for hiring people with disabilities. What makes Rising Star different from other CRPs that offers supportive employment services? Due to Rising Star having a ratio of 8:1 (8 Customers per one employment specialist) we are able to spend a reasonable amount of time with each Customer in order to personally get to know and understand their needs and professional interest.. As stated previously, our approach is a person-centered approach and we keep the Customer at the center of decision making at all times. I've had issues regarding communication with other CRPs in the past, what is Rising Star's policy regarding this? Rising Star strives to make contact with our assigned customer on a daily basis and or as required for success in placement. We operate as a Coach to the individual mentoring them to success. As the assigned e Vocational Counselor you can expect bi-weekly updates, compliance with documentation and reporting. Semi-annual surveys will engage yourselves in assessing our approach to achieving the mission of employment. Do you have an internship requirement for your degree program or simply want to gain a little work experience? Contact your University/College Placement Center and inquire about current opportunities in downtown Dallas and Denton, Texas. Use the form on our contact page to inquire today. We are a member of the The Volunteer Center of North Texas where you can view available opportunities of service to the entire non-profit community while also keeping track of your volunteer hours. Rising Star recruits retired CFOs, IT professionals, HR directors, and individuals with a wide range of experience, for volunteer positions as consultants. These Senior Professionals will work with our Outsourcing service clients to coach executives and manage business operations. You can contact us about our volunteer program by filling out the form on our contact page. To reach us about our referral services, fill out the form or contact our designated representative.